Timespan: From 18.09.2018 until stocks last. The perfect energizing snack comination from petrol station Dieselor, Sofa! 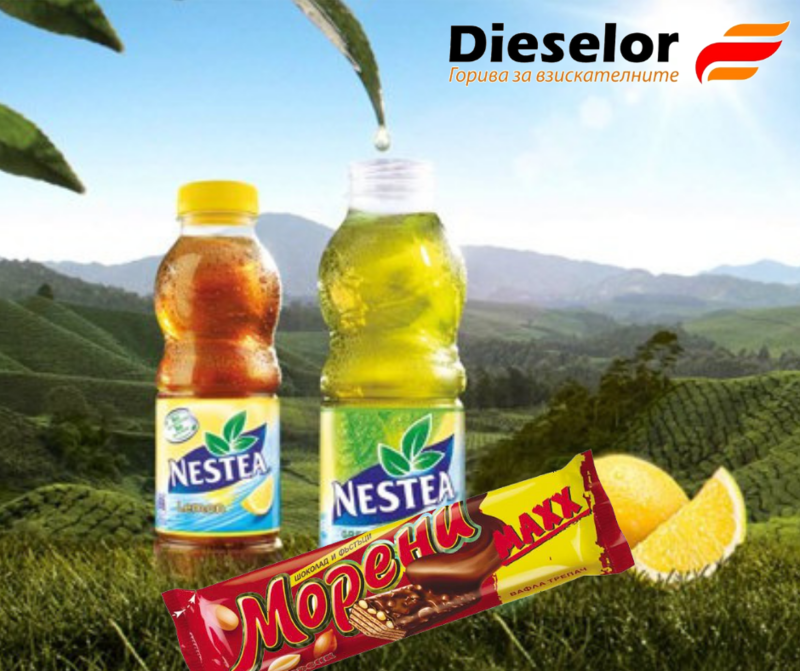 Take Nestea ice tea 0.5 l + Moreni maxx wafer for only 1.99 lv. The various flavours of Nestea will refresh you while your favourite big Moreni wafer will load you with tons of energy! Duration of the promotion: from 18.09.2016 until stocks last.